Abundant sunshine. High 77F. Winds SSW at 5 to 10 mph.. 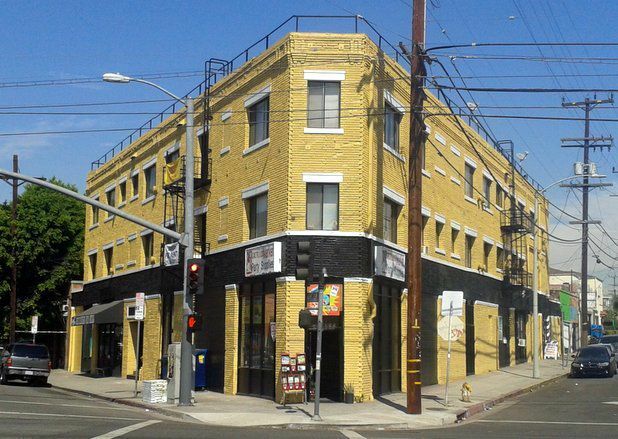 There is nothing ornate or fancy about this three-story Boyle Heights apartment building. But its triangular shape and towering brick walls make the nearly century-old building a commanding presence at the convergence of Whittier Boulevard, Boyle Avenue and Chicago Street. 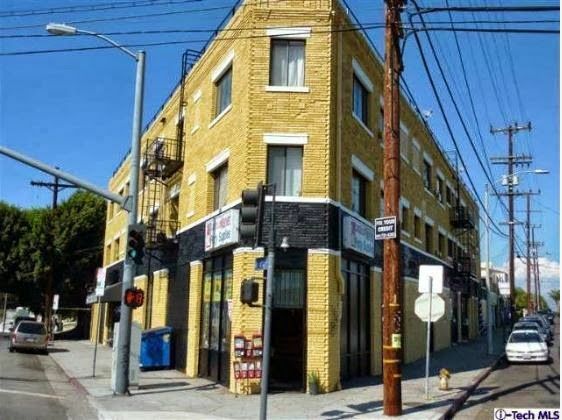 After some new paint and some fixing up, the building with 22 apartments above storefronts in “up and coming Boyle Heights” is now up for sale at $1.83 million, according to Redfin. “This building has Charm,” notes the listing. The building also has a well regarded neighborhood skate shop, Soul Skating LA, as a tenant. The shop was recognized as having the Best Skate Lessons in the L.A. Weekly’s Best of L.A. 2013 issue.